Only 80km up the coastline, a mere blip in a country the size of Greenland, are two glaciers meeting the ocean. 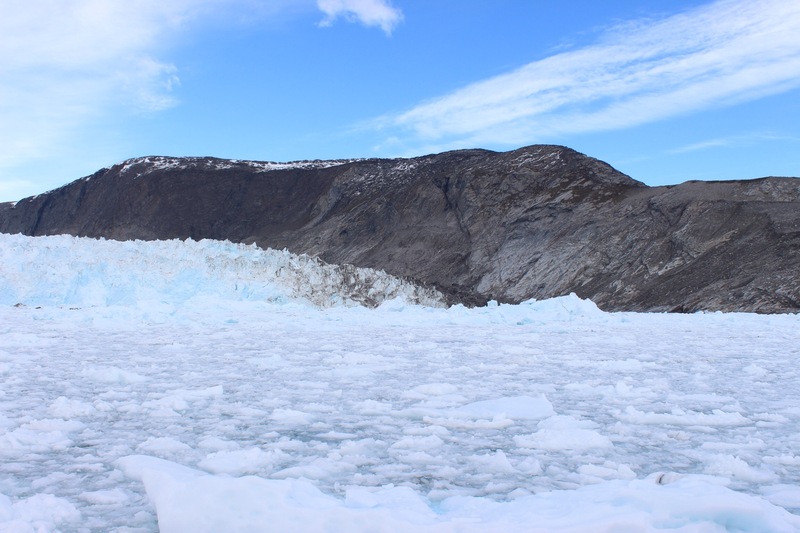 The Eqi glacier is popular to visit because it is easy to get close to its face and it moves 12 metres a day, meaning it is frequently carving. On a small boat, 80kms is a scenic, but long 5 hour journey. 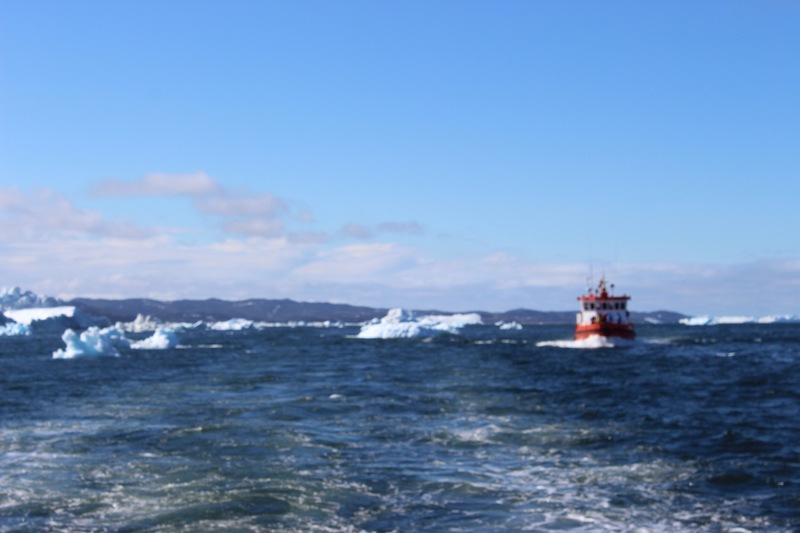 As we departed the towns port at 9am, the sun was warm, the wind just taking a snap at you as we dodged huge icebergs hanging around. 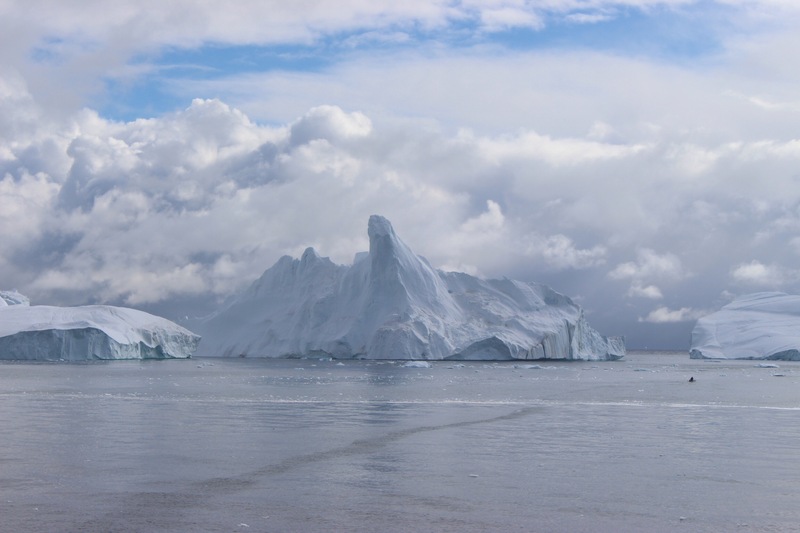 We were out in Disko bay, the area between Mainland Greenland and the huge Disko island on the horizon. As breakfast was served and the journey continued, we started to pass through closer islands, more obviously moving up channels, heading north, more north than I had ever been with every chug of the engine. 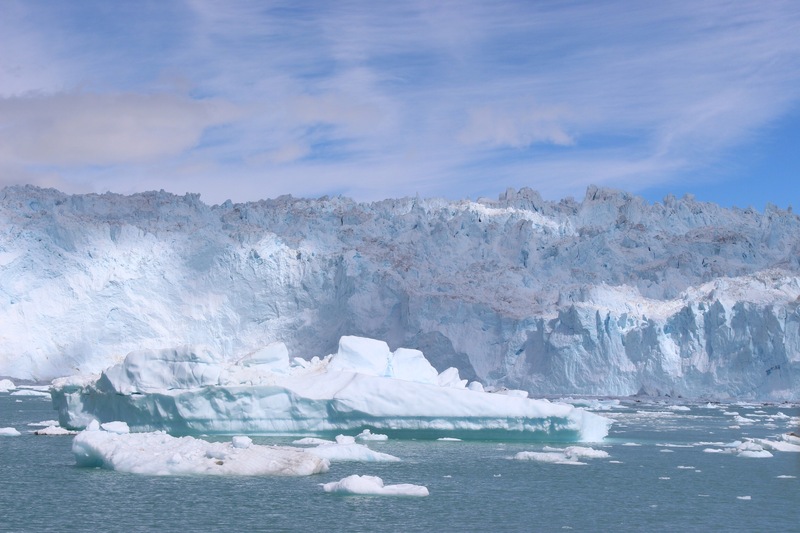 The temperature was noticeably changing and around 1pm we were approaching two huge glacier faces. Visual distortion is definitely a thing out here, where there is little for comparison against open sea and sky. 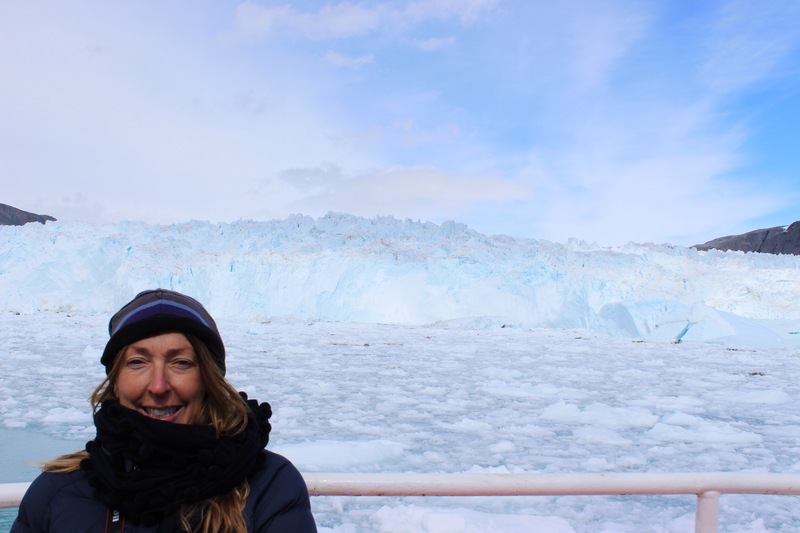 When the boat stopped to drift, we looked swimming distance from an impressive ice wall, but in fact we were sitting 1.2km off a 3km long wall, the smallish front layer standing at 120m, the higher juts up to 300metres. As the guide talked there was carvings, sections of ice falling into the water. 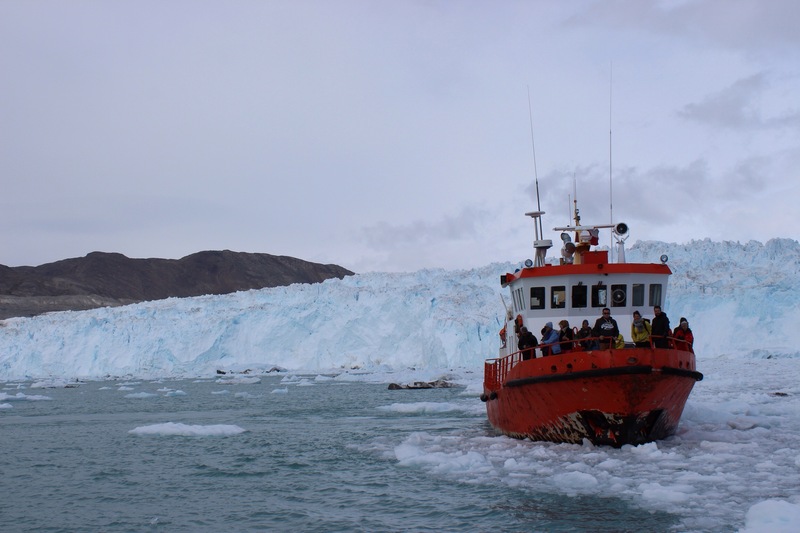 The largest of the carvings triggered a section of about 50metres to fall and on meeting the water created a visible wave, sending the icebergs in the water dancing around on the surface and even rocking our boat at that distance. 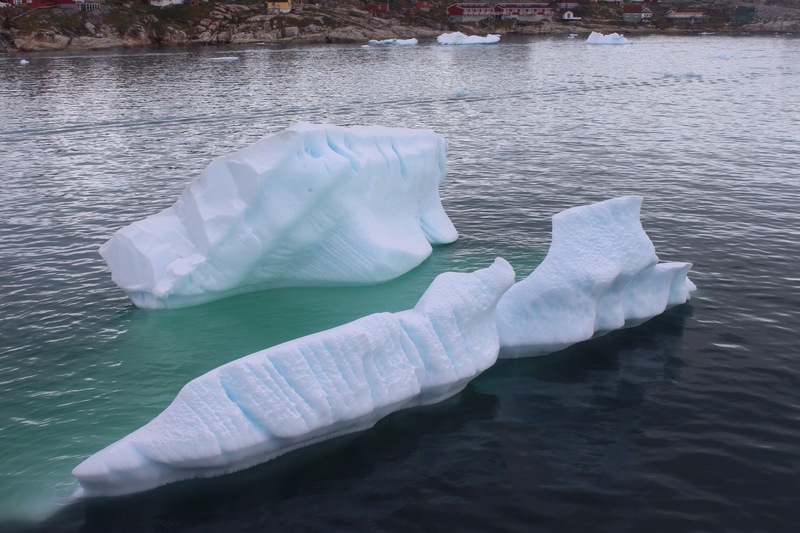 While the boat was still, the smaller chunks of ice in the water collected together almost looking like a sheet, and every time it moved it carved a route, pushing the ice to the side. 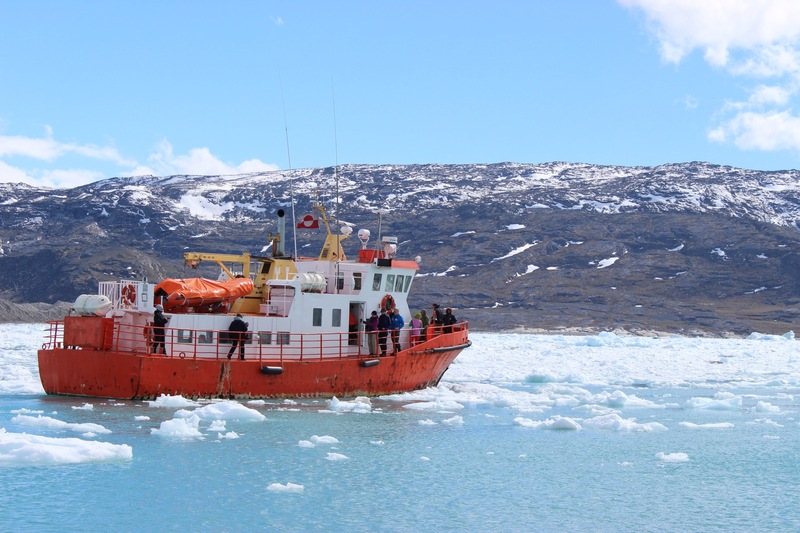 Early afternoon we retreated from the glacier, making our way south again to Ilulissat. By now, with cloud cover and cold winds, it was incredibly biting to be outside, yet when the captain halted the boat and said ‘whale’ everyone dashed quickly to the top deck to see a humpback breach and descend gracefully into the water with a flick of its large tail. On our final day in Ilulissat we encountered more of the changing weather. It began to snow. Small flurries at first followed by cotton wool sized lumps, coating cars, roofs and most picturesque, the mountains beyond. We headed to the towns little museum in the childhood home of Knud Rasmussen and family. Half Danish, half Greenlandic and born in Ilulissat, Knud was influential in retaining Greenland as one country under Danish rule, and also for mapping large parts of the north of the country. His interest in Inuit culture led to great discoveries about the similar traditions and language of the Arctic people through Greenland, Canada and Siberia. The first Inuit population, the Saqqaq people crossed the Nares strait from Canada approximately 4000 years ago. The land has largely been inhabited since then by different groups who may have encountered each other, namely the Dorset people and the Thule people, but until Danish colonisation they were a nomadic people living in tents in summer and cohabiting peat houses in the winter. Since Danish colonisation the people have grouped more into towns, spread down the coast. The towns little art museum was in another comfortable house which used to belong to the master of the colony who would come from Denmark. 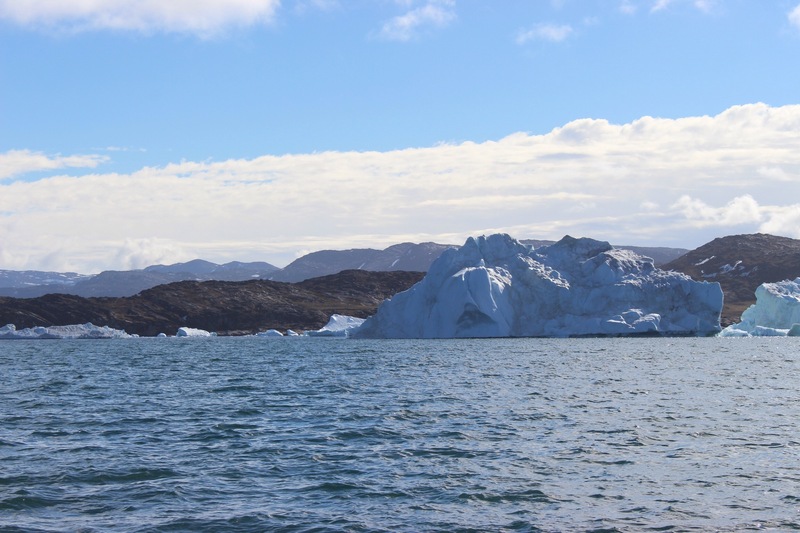 It looked out on the bay and now houses collections from Greenlandic and visiting artists, as well as an exhibit by Peter Rasmussen, a Dane who painted extensively in Ilulissat in the 1920’s and 30’s. His work glowed with the ethereal light of the sky and the iceburgs which is difficult to capture on camera. And with that it was time to leave Ilulissat for the fishy port, to board the Sarfuq Ittuk south, to Nuuk.